When fans of West Ham United taunt Spurs’ ‘Yid Army’ with the chant ‘He’s coming for you, he’s coming for you, we won’t say his name, but he’s coming for you’ we know they mean Hitler. At first glance that ‘he’ could refer to any number of anti-Semites, but the song often comes with a hissing sound supposed to evoke the sound of Nazi gas ovens. It’s Hitler. Move on. Right now the killer’s name will be familiar to more people than those of his victims. And that is both understandable and lamentable. But knowing one victim’s story can help us understand the pain of the many. Six million Jews were murdered in World War 2. That huge number of stolen lives is too vast to comprehend. But thanks to Anne Frank’s diary, we get to focus on one human life snuffed out, and we connect. We can empathise and walk in her shoes. 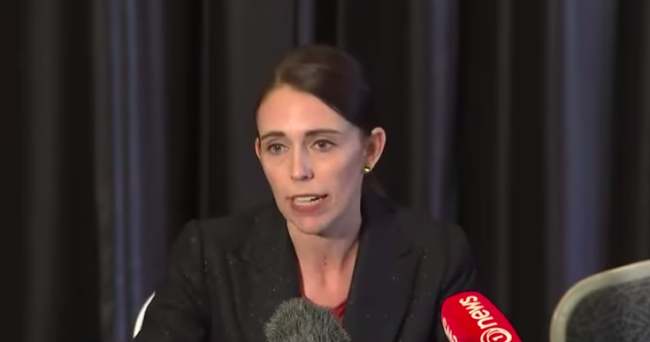 Fifty people were murdered at Christchurch. Mucad Ibrahim was three. What can you say about a three-year-old out with his loving family? He was “energetic, playful and liked to smile and laugh a lot” says his brother. Can you stand it? “I want him back. I would rather that I went than him,” says Junaid Kara’s bother Ismail. “I’m the naughty twin, he’s the better one and that’s how it is. That’s all I want to say about my brother.” It’s the facts that sting. The little things make it human. It’s hard to bear. The horror becomes real through the ordinary details, painfully so. Their killer wanted to end lives and through murder achieve fame. He live-streamed the massacre and posted his manifesto online. He craved the oxygen on publicity. He wanted his heinous crime to stand for something bigger. It doesn’t. It represents nothing but his depravity. Analysing his words for meaning invests in them a power they lack. Watching people murdered says more about you than him. And it says nothing good. So should we say his name? Does saying it make the horror more real and more likely to reoccur? Is censorship born from fear of triggering copycat crimes – handing other inadequate bastards a ready-packaged reason to plug the moral vacuum in their lives – or respect for the dead and bereaved? Arden shouldn’t worry. Try this: can you name any of the 19 hijackers who murdered 2,977 people in 9/11? How about the 4 bombers who murdered 56 people on 7/7? What about the man who murdered 22 people killed at the Manchester Arena? Not all names stick for long do they? The Christchurch killer’s name won’t either. You’ll remember the event but nearly all of us will forget the killer.